Quality Meat Scotland (QMS) is the public body responsible for helping the Scottish red meat sector improve its efficiency and profitability as well as maximise its contribution to Scotland's economy. We market the PGI labelled Scotch Beef and Scotch Lamb in the UK and abroad and promote Scottish Pork products under the Specially Selected Pork Banner. Our internationally recognised assurance schemes cover more than 90% of livestock farmed for red meat in Scotland. They offer consumers in the UK and overseas the legal guarantee that the meat they buy has come from animals that have spent their whole lives being raised to some of the world's strictest welfare standards. With hundreds of years of tradition behind them, Scottish Farmers pride themselves on meeting the high standards of today's modern meat consumers, at home and abroad. QMS undertakes a wide range of health and education work which aims to communicate the important role of red meat as part of a healthy, varied diet. * 5. Have you had a demonstration session from us before? * 6. Has any class or group had an education session or farm visit organised by The Royal Highland Education Trust? * 7. What topic or project are you teaching which relates to a Scotch Kitchen in Schools education and cookery session? * 8. Have you joined our Yammer group (search for Scotch Kitchen in Schools) to share knowledge, photos and videos for the great work you do in schools? We will contact you should we look to use any of the content on social media. Anything you do post can you use #scotchkitcheninschools and tag @qmscotland too! No.  Well, all you need to do is either on your pc or download the app on your phone, search for Scotch Kitchen in Schools group and request to join and get sharing! * 9. Do you plan to make links with and visit a member of the red meat industry to enhance pupil learning? For example, this could be a butcher, farmer, processor. Yes (Great - please detail) If it is part of a bigger project, please apply for The Scotch Kitchen in Schools Grant here! * 10. Would you be interested in a butchery demonstration to compliment learning? Please note that butchery demonstrations are subject to butcher availability and geographical area. * 11. We need to evaluate what we offer as an organisation and will be sending over a questionnaire for you to feed back on your experience and what the pupils learned from the demonstration. We send these out via email - can you please confirm your email address below.